Tanzania is a premium safari destination offering 7 World Heritage Sites including the Serengeti, Kilimanjaro and Stone Town in Zanzibar. 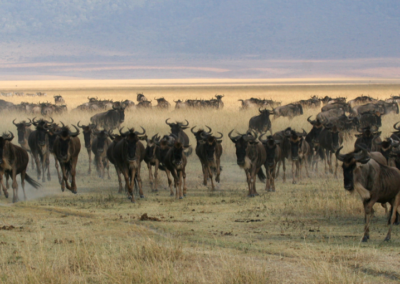 The mix of safari with tropical island, ancient cities and natural wonders is unmatched. The image of acacia trees on an endless grass plain epitomises Africa for many, and then add a Masai warrior and some cattle to the picture and the conversation need go no further. Add the incredible romance of Zanzibar and Stonetown, this has got to be the ultimate African Safari Experience.